This project was a custom WordPress Template build for the Tasmanian Environmental Defenders Office. 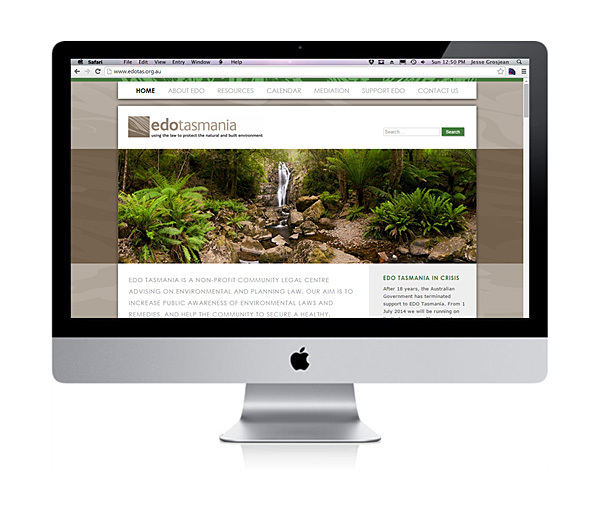 The website went live in late November 2013, just in time to help the Environmental Defenders Office establish its online presence before the government removed funding for the EDO network. 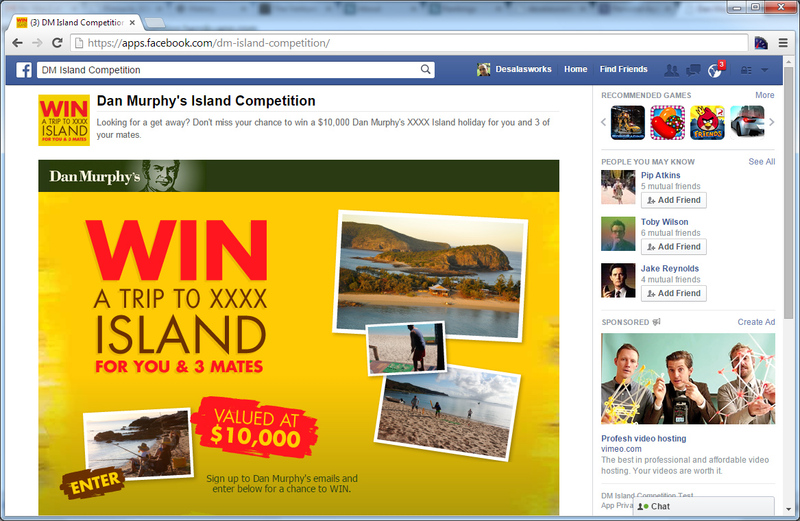 The XXXX Island competition was a Facebook Competition run by Dan Murphy’s. 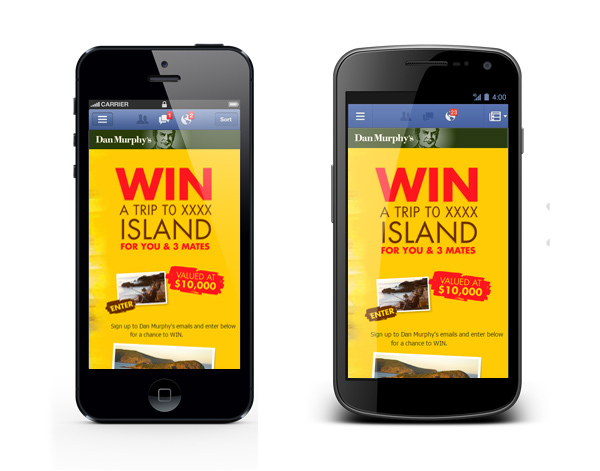 This was produced in conjunction with RedJelly, an advertising agency based in Tasmania. 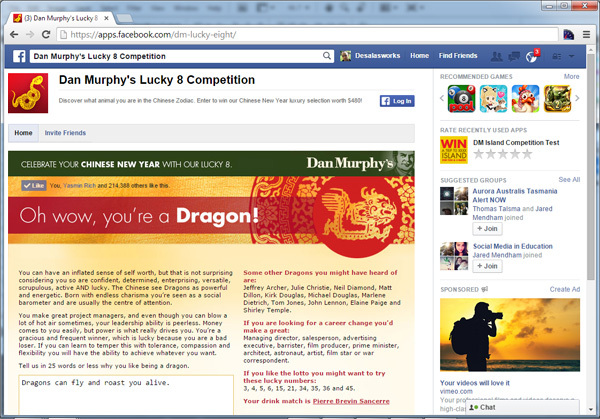 The competition had to be available on both Desktop and Mobile formats. 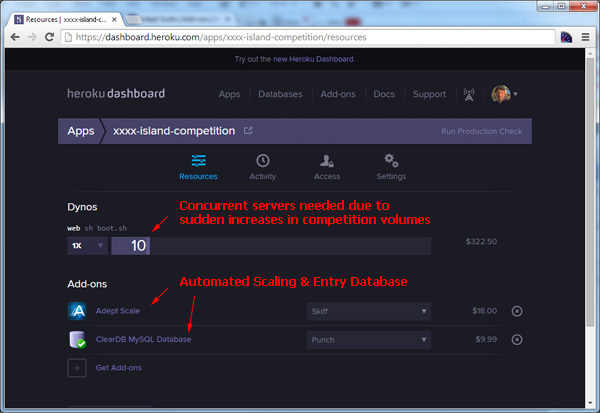 Due to the high volume of competition entrants the competition was hosted with Heroku, which allowed provisioning of additional servers to handle surges in traffic following advertising. The competition was highly successful, receiving more than 10,000 entries. 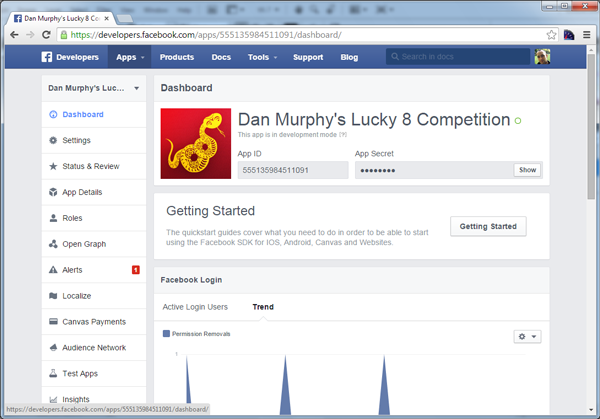 This Facebook competition was run on Chinese New Year 2013, it was designed by RedJelly and hosted by me using Heroku. 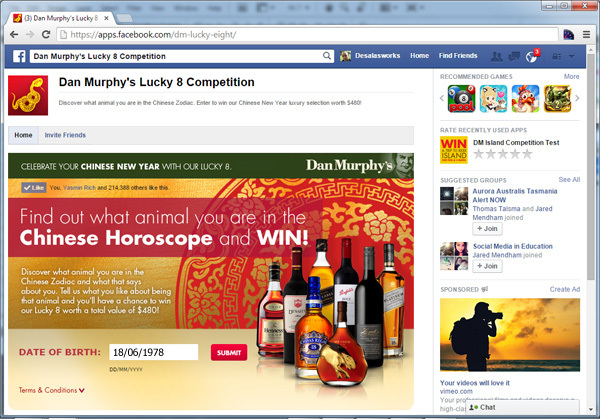 It included access to the Facebook API for authentication and to obtain email and date of birth information from competition entrants. This plugin allows WordPress to block over 95% of comments using a time-based hash. This allows for a minimum sanity check and yet should remove almost all spam comments without the need to sign up to any third party APIs. You are now welcome to install and use this WordPress Plugin I developed out of frustration of having to sign up and pay for a key to the Akismet API services, and yet knowing that a simple time-based input validation could help get rid of the majority of my spam comments. This is what the plugin looks like once installed. So far I have been using this plugin myself for the past 12 months and I am very happy with the results. I normally receive around 400-600 spam comments a week and this has cut that down to an average of 1-2 which is far more manageable. The solution is pretty low-tech, it only took about 2 days to put it together using some time-validation techniques I’ve successfully used in the past for one of my other websites (www.valuetrader.info). The plugin is pretty effective given the lack of sophistication employed by the majority of spam bots however it is not very advanced and for that reason some spam comments may still make it through. 1. Download the file wp-simple-spamcheck.zip to your desktop. 4. Select the ‘wp-simple-spamcheck.zip‘ file you just saved and press ‘Install Now’. 5. Click ‘Apply’ once the installation has completed. 6. Hopefully, the ‘(Spamcheck Enabled)’ message should appear when entering comments. Please be aware that some templates may not be able to implement this spam check plugin, if the ‘(Spamcheck Enabled)’ message does not appear then just uninstall and search for a different plugin from the other available options. If you have installed this plugin and you find it useful. 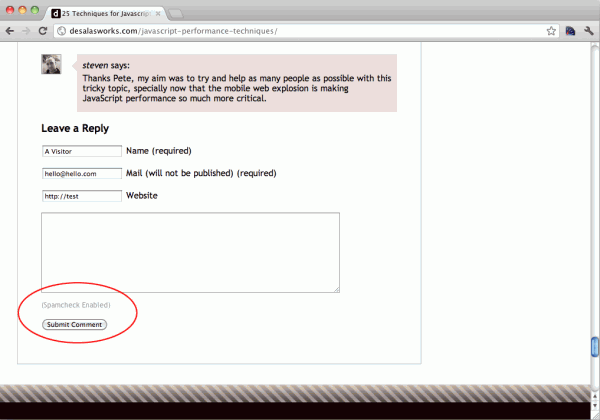 Please give it a rating in the WordPress plugin website so that other users can see it. If you have any other problems just drop me a line here. This was a design of a mobile-friendly competition for BWS and Victory Motorcycles. The competition was hosted by RedJelly and ran over a period of 30 days. This plugin allows your WordPress blog to output pages compressed in gzip format if a browser supports compression. You can now find the plugin listed in WordPress.org. I noticed once I installed WordPress and started using it for desalasworks.com that it does not support gzip HTTP compression, apparently this support was removed from version 2.5 onwards. HTTP Compression is a no-brainer for optimising your blog. HTTP compression generally means a 60-80% reduction in page size (and broadband usage) as well as an increase in download speeds of 3x to 4x. As of January 2010, more than 99% of browsers support compression. 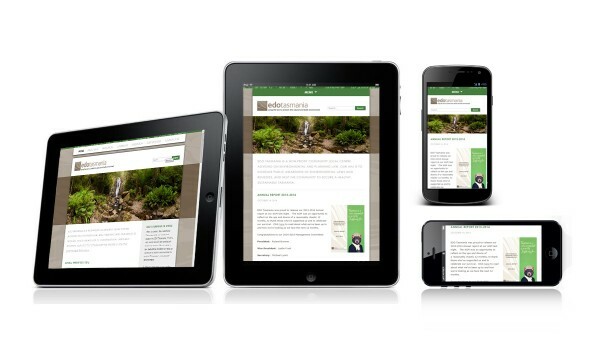 For the less than 1% that do not, WordPress will still send them uncompressed pages. Having already enabled compression on my own VisualSite (.NET) Content Management System I decided to write a plugin for WordPress to enable this as well. Download the `wp-http-compression.zip` plugin to your desktop. Select the file `wp-http-compression.1.0.zip` and press ‘Install Now’. Check “Page GZip” on the right hand size. Check “Bandwidth saved by compression” on the left hand side.